Cubes from White Domus Designs consists of different sized glass cubes, which are meticulously handcrafted and polished with slightly curved surfaces. What adds to its charm are the lustrous colours they come in… a treat to the eyes. 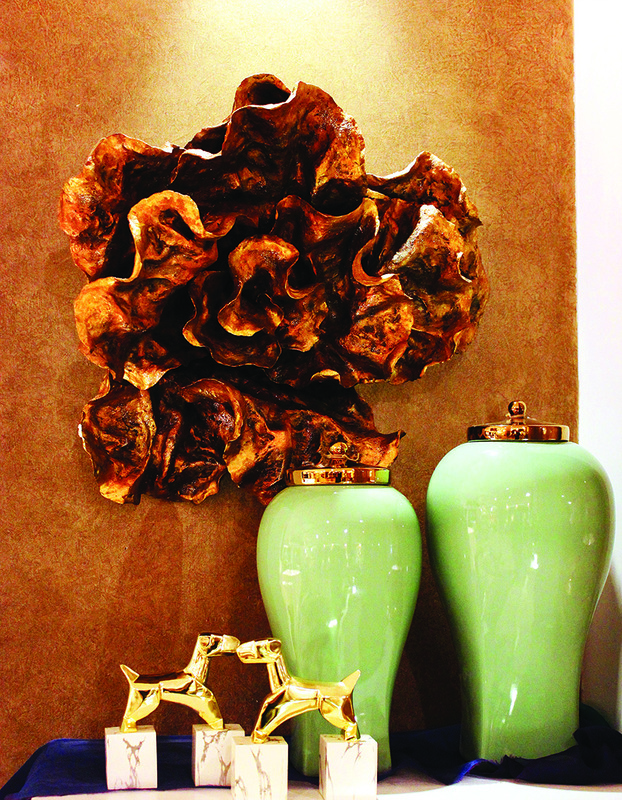 The delicate looking Delilah Green Flower Wall Sculpture made from ceramic comes in a soothing green colour with an element of black over its delicately carved petals. 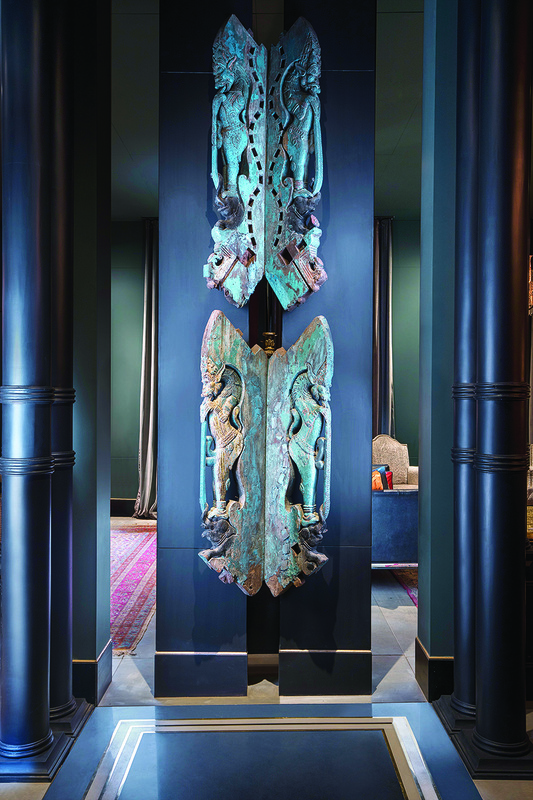 A mesmerizing combination and celebration of the mythical and modern, this antique Yaali panels in wood will add an enigmatic animal spirit and sense of depth to your space. 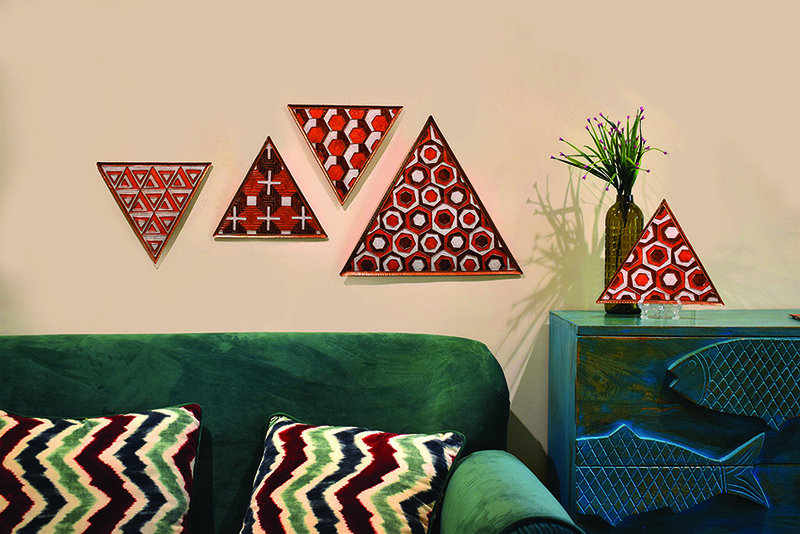 Inspired by the concept of geometric tessellations and as a breakaway from regular circular plates, a range of copper enameled products were developed using the humble triangle as a base grid. 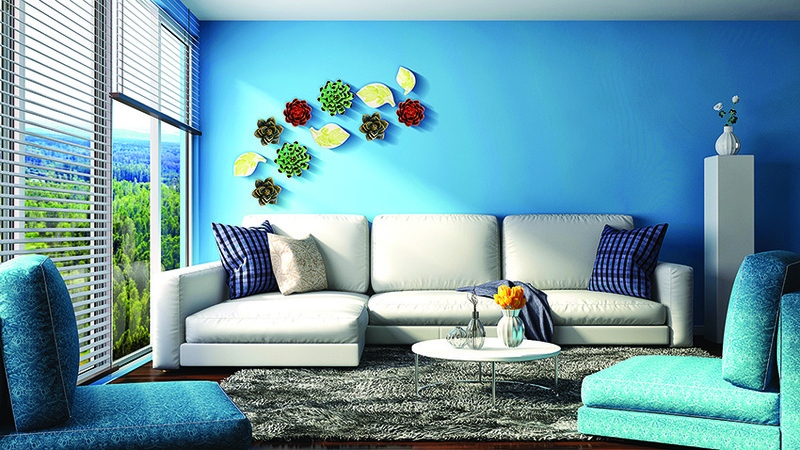 The colours of this wall art are derived from urban lifestyle. Park Bench from Artisan House is a handcrafted three-dimensional metal sculpture which would bring a soothing city park right into your living space. 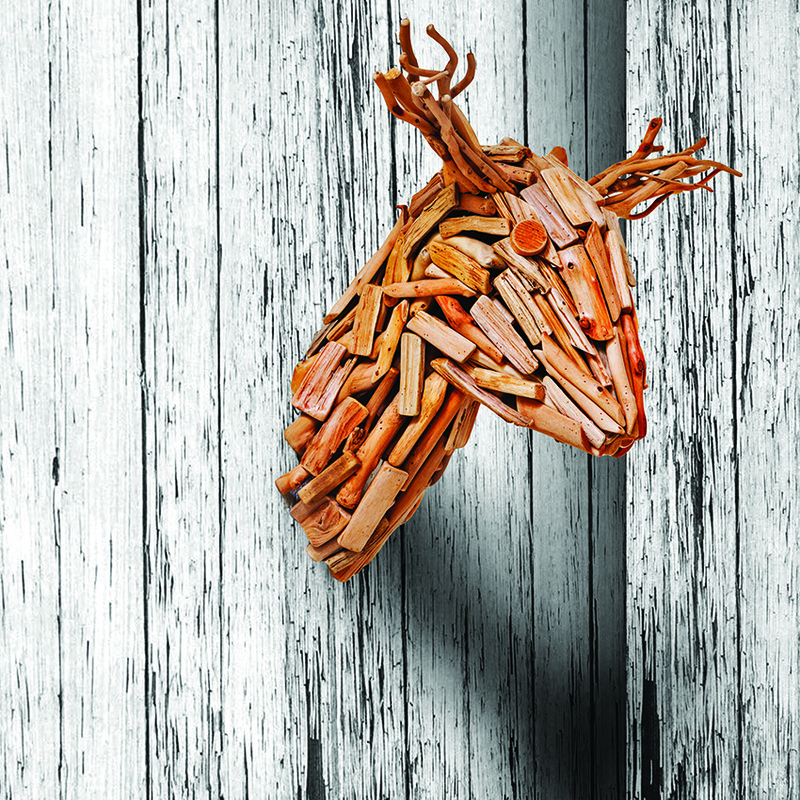 Titled as Deer Me, this is a beautifully arranged composition in aged wood that will grace your walls with its elegant and interesting formation. Wonderful mini wall art pieces featuring flowers, birds, leaves and the sun in a contemporary rendition. 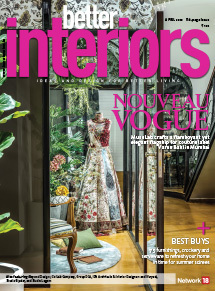 The products are crafted from eco-friendly ply, beech veneer, oak veneer and MDF. 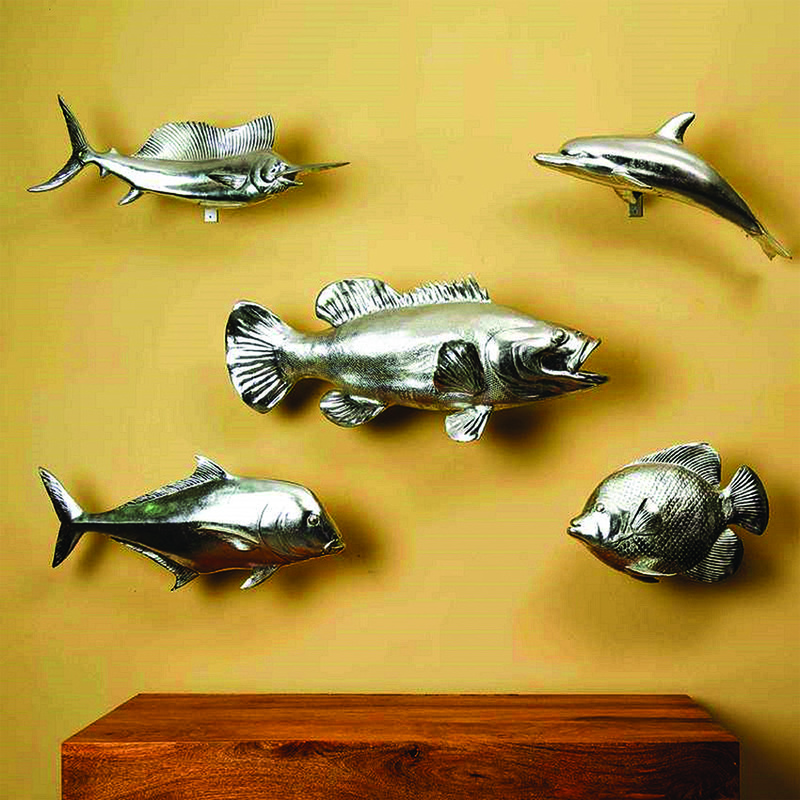 The Great Catch Fish sculpture collection brings the ocean’s life to your walls. Lifelike fish artistry is sculpted in resin and then electroplated with a gleaming silver finish. 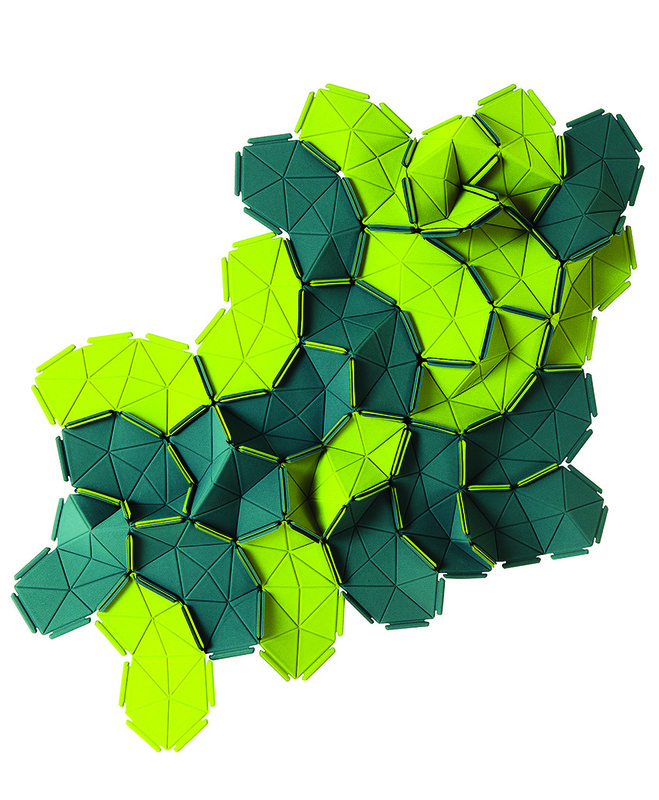 Alternatives is an abstract wall sculpture designed by Artisan House which takes inspiration from the urban industrial theme. 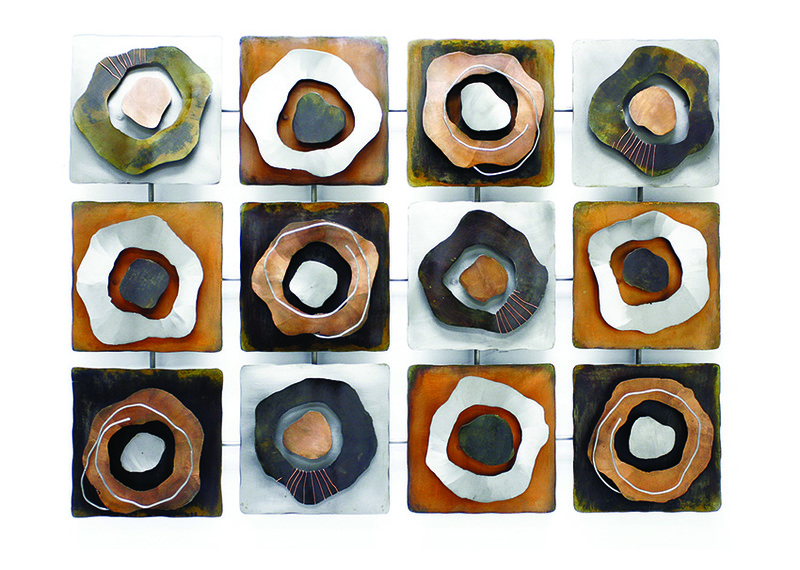 Made from copper and steel, each element in this artwork is hammered to bring out the crude yet sophisticated characteristics of the material. 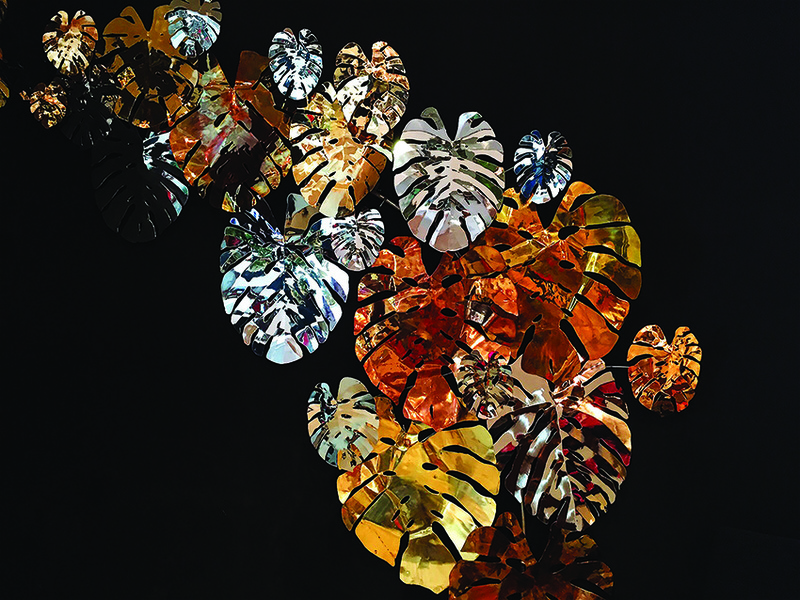 Part of the Lazy Garden collection, these magnificent Monstera leaves climbing on a wall are crafted from stainless-steel, are tinted in copper and gold, and have a mirror like finishing. 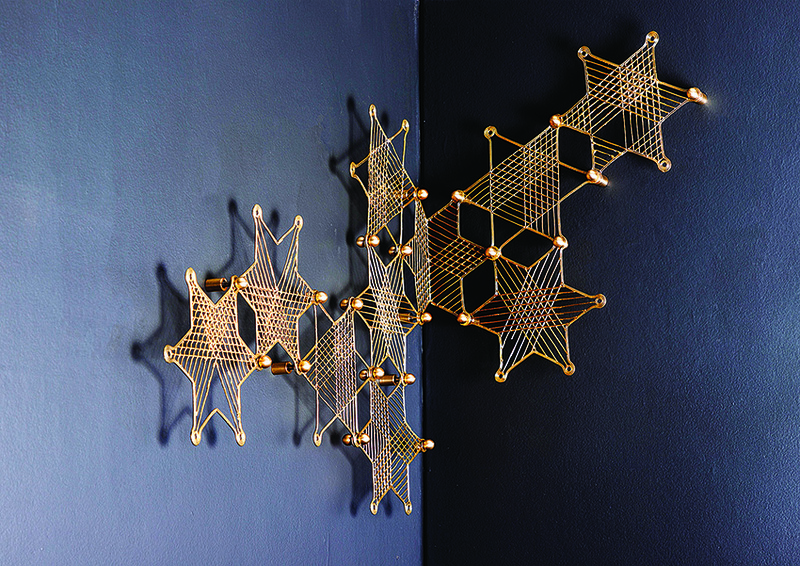 Tara Dhokra wall decor installation is a cluster of delicate modular star formations connected to each other in a never ending tessellation, expanding to fit a space like stars in a galaxy. It is made from recycled brass. 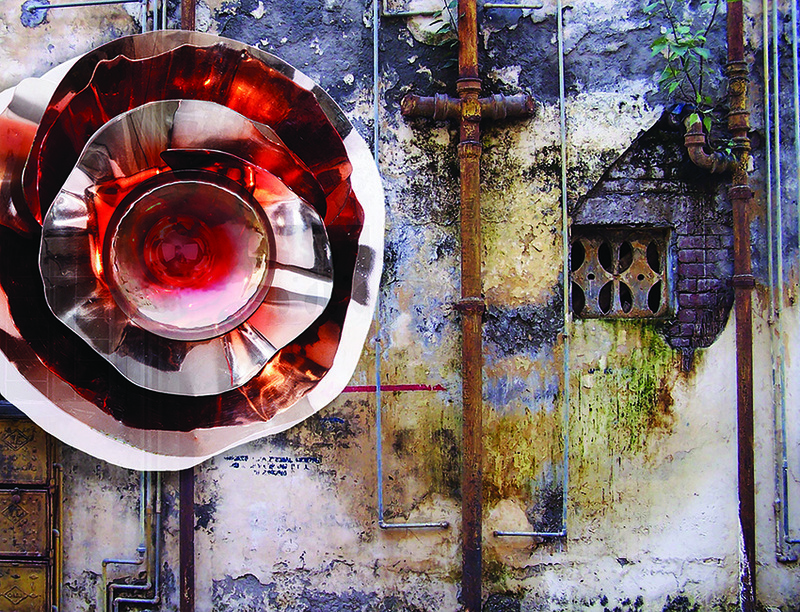 Floral, mechanical or simply abstract — one can interpret this Samara wall art piece in any way as it creates curiosity in the eyes of the viewer. It is crafted from aluminium and comes with a gold finish. 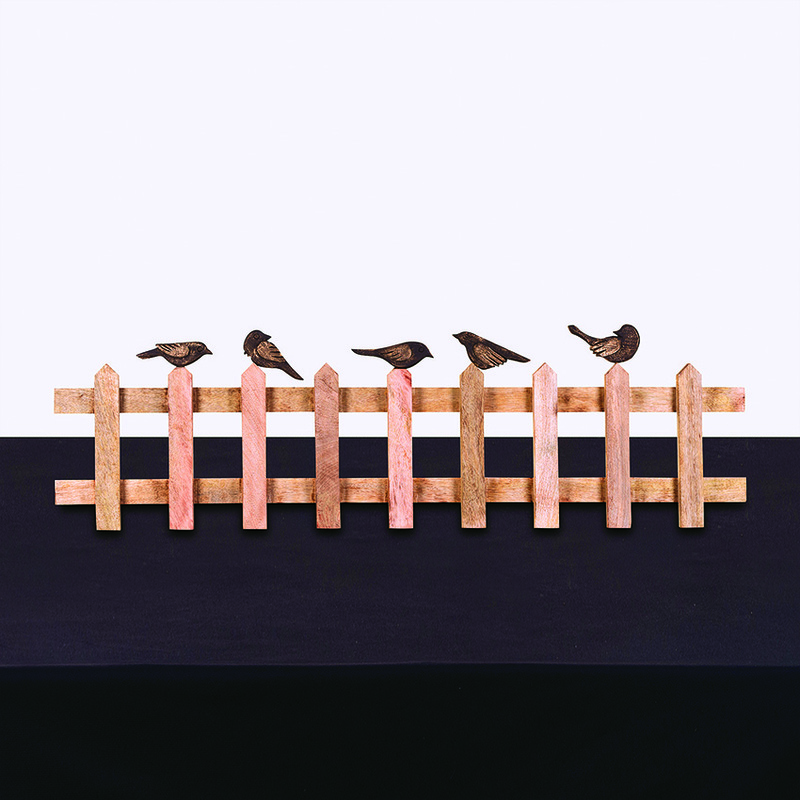 Take delight in this natural wood decor that looks like birds enjoying a sunny day on a picket fence. 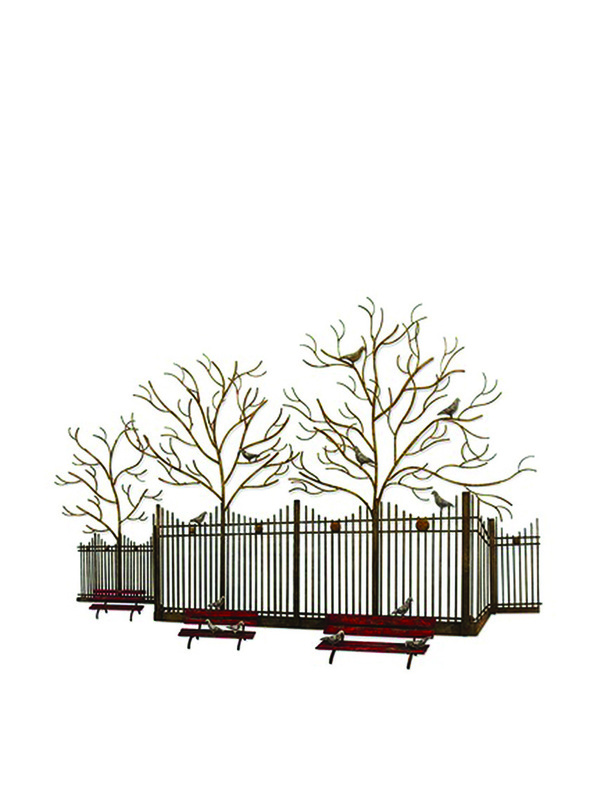 This wall sculpture called On the Fence is especially for those who love whimsical beauty. 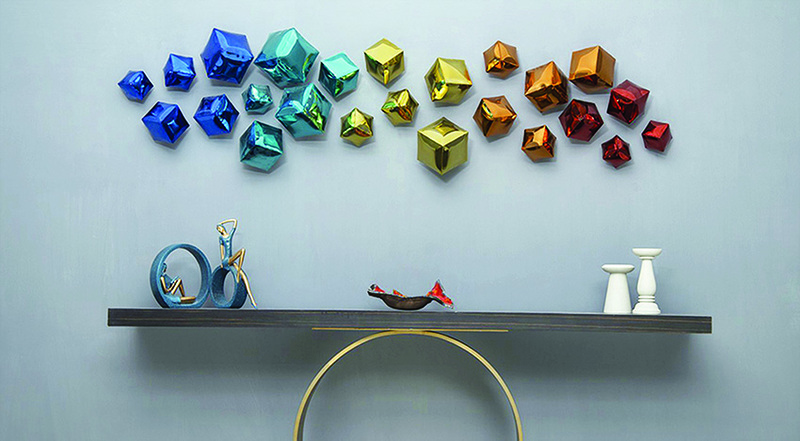 Designed by Erwan and Ronan Bouroullec for Ligne Roset, this wall art of Clouds is an innovative, colourful decorative motif concept. Each piece is bicolour (double-sided), that brings together two colours of Divina fabric where the pieces are linked by elastic ribbon and produce a unique tri-dimensional effect. 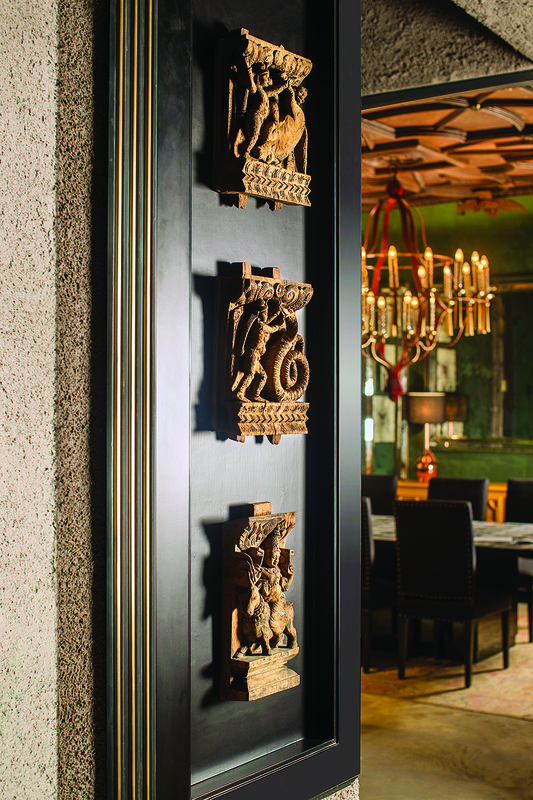 Introduce a bit of heritage into your contemporary environment with this antique wooden artwork panels with brass framing. 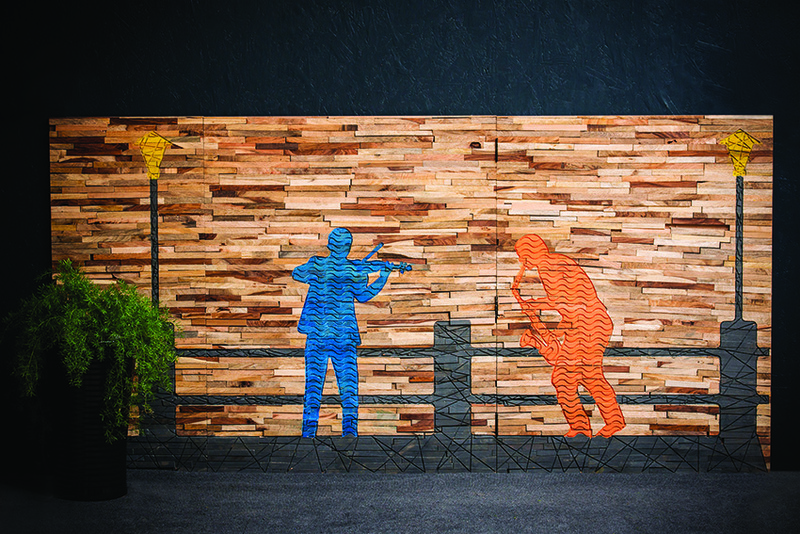 The Musical Night is a wall sculpture which embodies the love for music. It is made from reclaimed wood and comes with a natural finish. 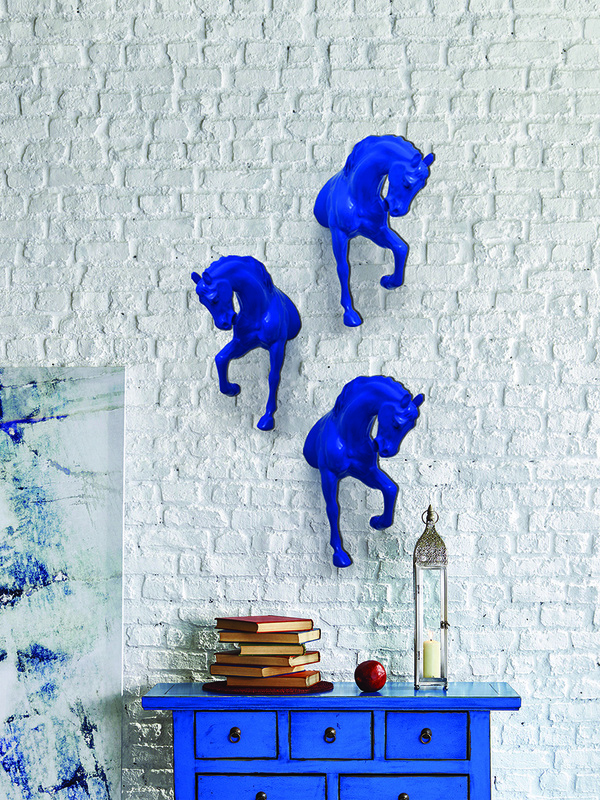 A stylish and contemporary pick for your walls… the Regal Horse Wall Decor made from polyresin is available in red, blue and gold hues. 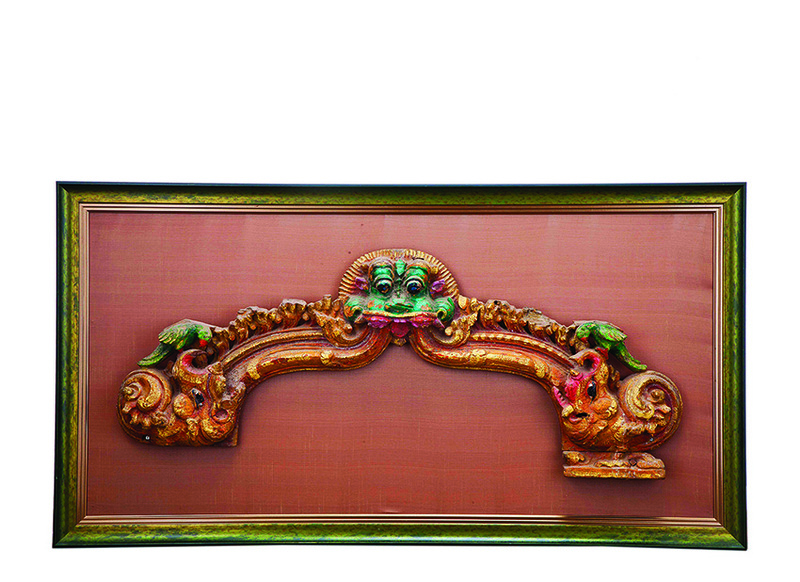 Seen in South Indian and Buddhist temple architecture, the Kirtimukha is handpainted and carved in wood. 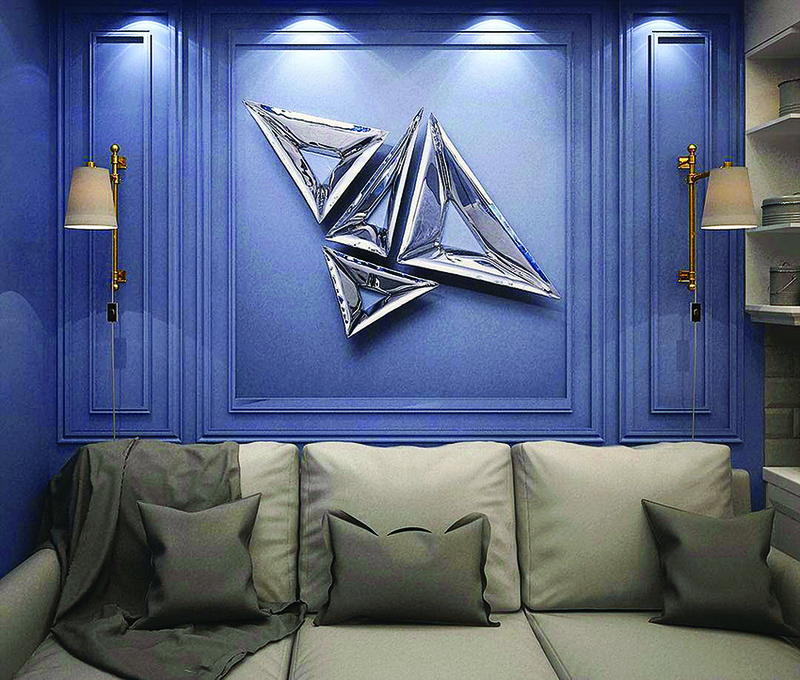 Bring home a bit of the nocturnal skies with the Starry Night installation from White Domus Designs. Depicting the celestial landscape in all its glory, the sculpture is coated with glossy mirror polish that mimics the twinkle of stars. 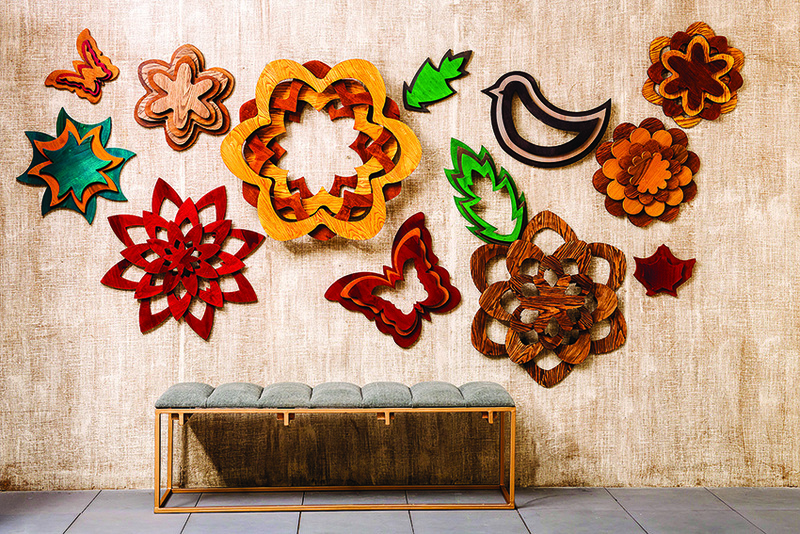 The subtle elegance of this wild flower wall panel echoes positivity and other worldly charm. 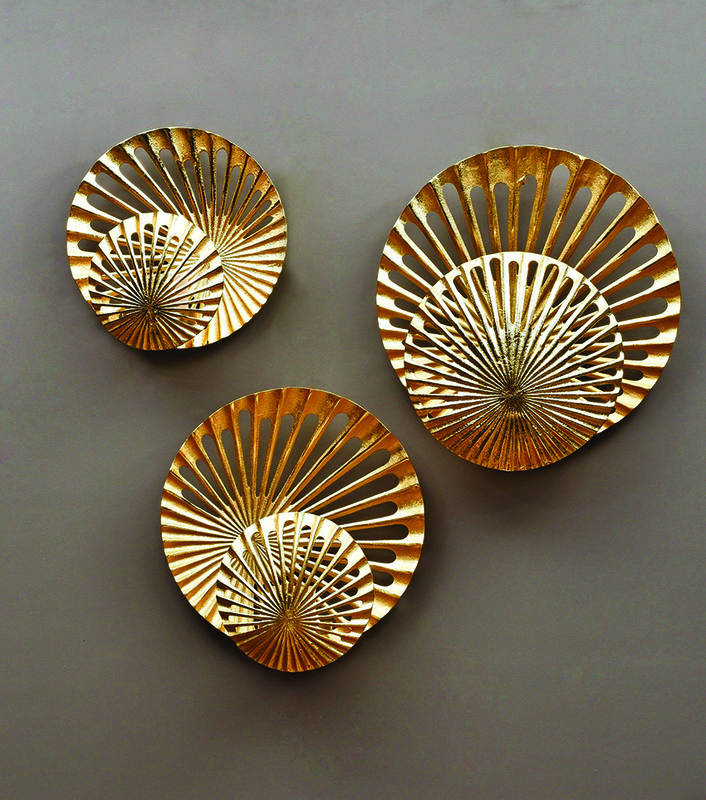 Crafted from brass with antique copper finish, this piece of art will add a dramatic effect to your wall decor.